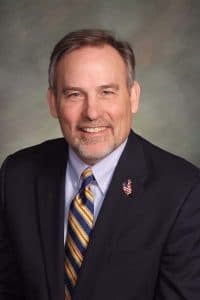 Moderate Republicans will lead the House and veterans will guide the Senate following a Republican Party caucus in Casper over the weekend, according to several lawmakers. Current Speaker of the House Steve Harshman (R-Casper) will break with tradition to continue leading the Wyoming House. He will be joined in leadership by Rep. Albert Sommers (R-Pinedale) as speaker pro tempore, Rep. Eric Barlow (R-Gillette) as House majority floor leader and Rep. Tyler Lindholm (R-Sundance) as the House majority whip. The nine House Democrats, including three new members, caucused Sunday in Rock Springs, Rep. Cathy Connolly (D-Laramie) said. The minority party leadership will remain the same — Connolly remains minority floor leader, Rep. Charles Pelkey (D-Laramie) is House minority whip and Rep. John Freeman (D-Green River) is minority caucus chairman. In the Senate, current Majority Floor Leader Drew Perkins (R-Casper) will step into the President’s seat. Sen. Ogden Driskill (R-Devils Tower) will take over as Senate vice president and Sen. Dan Dockstader (R-Afton) will become Senate majority leader. Senate Democrats hold only three seats, one of which is new to them — Sen. John Hastert (D-Green River) lost reelection, but Rep. Mike Gierau (D-Jackson) will move into retiring-Sen. Leland Christensen’s (R-Alta) seat. Sen. Chris Rothfuss (D-Laramie) will remain Senate minority Leader, Sen. Lisa Anselmi Dalton (D-Rock Springs) will be Senate minority whip and Gierau will be Senate minority caucus chairman, Rothfuss said. Wyoming Republicans choose their legislative leaders with a secret vote during a closed door caucus. The party has a dominant supermajority in each chamber — there will be 50 Republicans, nine Democrats and one Independent in the House this year, and 27 Republicans and three Democrats in the Senate. With those numbers, legislation’s fate is more likely to hang on splits in the party than on partisan battles with Democrats. Leaders in each chamber wield significant power. They govern debate and often must balance the clamor of the democratic process against the need for efficiency in doing the state’s business during short legislative sessions. Leadership maintains order and unity. The latter can be a significant task when House versus Senate showdowns arise like that seen in the 2018 session. They also appoint committee chairmen and -women and can use those appointments to make sure allies stifle certain bills at the committee level. Finally, they control the order of bills being introduced to the floor. Legislation that doesn’t enjoy leadership support faces a significant and often insurmountable uphill battle just to be heard. House Democrats have an opportunity to weigh in on the Republicans’ selections on the first day of the 2019 Legislative session. Though leadership was chosen in caucus, the full House can vote on approval of the speaker and speaker pro tempore positions, and the Democrats can field a challenger if they choose. That option hasn’t been exercised since 2001, according to research compiled by the Legislative Service Office and provided to WyoFile by Connolly. This year, however, Connolly informed her Republican colleagues by letter that the Democrats would be exercising their right to a roll call vote. “As the minority party we want our voice our heard,” she said. Connolly declined to say whether the Democrats would support Harshman’s reelection to Speaker, though they have often aligned with him in opposition to steep education cuts originating in the Senate. “We will over the next six weeks consider very carefully that first day,” she said. If the Republicans chose a Speaker unacceptable to Democrats, the minority party could, theoretically, align with moderate Republicans to sway the roll call vote. The last two legislative sessions have seen intra-party battles between Republicans concerned primarily with fiscal issues and those advancing a more socially conservative agenda and seeking to drastically limit the state’s government. Though such battles are not likely to go away, the decisions made Saturday suggest that moderate Republicans still have a majority in the House. Harshman’s reelection is evidence that a majority of House Republicans support the budget vision he formulated in 2018 — more reliance on the state’s trust funds in lieu of the steep education cuts supported by the Senate — Sommers said. Harshman defeated Rep. David Miller, the current House majority floor leader, on Saturday, according to lawmakers. Sommers defeated Rep. Scott Clem (R-Gillette) for the speaker pro tempore spot, according to lawmakers WyoFile spoke to. Clem is a staunch social and religious conservative, known for haranguing his fellow House members in impassioned floor speeches. Sommers is a member of the House Appropriations Committee and has sat on the School Finance Recalibration Committee and the House Education Committee. The Sublette County rancher is a budget wonk and has pushed back against Senate claims that public education is broadly overfunded. With a newly balanced budget on the general government side and a much smaller deficit in education funding, Sommers is interested in continuing discussions about the priorities of Wyoming’s revenue streams this coming session, he said. “We have the tools in place to really solve the education funding piece in the short term,” he said. Sommers was formerly the House majority whip, and his ascension to speaker pro tempore marks the only direct advancement up the ladder in the House as a result of Saturday’s caucus. 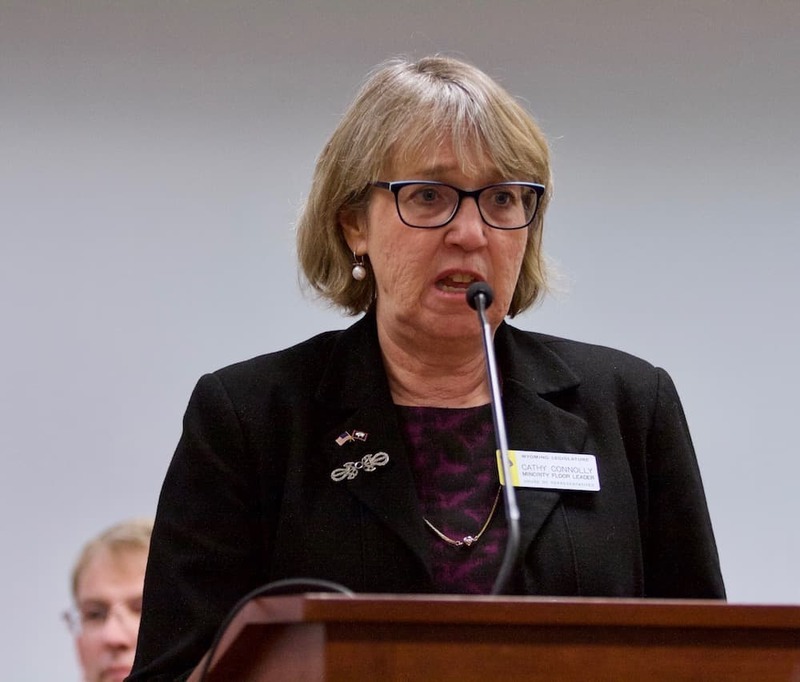 Lindholm and Barlow have not served in leadership positions before, though Barlow has been the chair of the House Labor, Health and Human Services Committee for the last two years. Barlow defeated current speaker pro tempore Rep. Don Burkhart (R-Rawlins) to win the powerful position of majority floor leader, according to sources inside the caucus. The majority floor leader controls the order in which bills are introduced to the floor. As the deadlines for votes draw near, that power becomes enormous. By delaying a bill’s introduction until a deadline passes, the majority floor leader can kill legislation, though lawmakers do have options to force a vote. 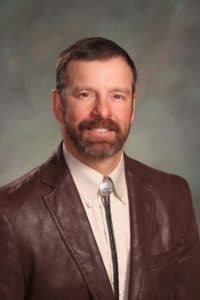 As chair of Labor and Health, Barlow, a rancher and veterinarian from southwest of Gillette, has become concerned of gaps in the state’s mental-health and substance-abuse-treatment net and has pushed his committee to review the problem. During the 2018 legislative session he emerged as an opponent of the controversial ‘critical infrastructure’ bill that he said would let energy companies railroad his rights as a rancher. Opponents of that bill, who described it as an anti-protest measure that violated rights of free speech and assembly, have said they expect a version of it to resurface this year. The 35-year-old Lindholm from Sundance, the new majority whip, is popular among his fellow Representatives. Lindholm considers himself a libertarian, and has at times bridged the aisle to vote with Democrats on issues ranging from marijuana laws to LGBTQ rights. Lindholm initially supported the critical infrastructure bill but ultimately helped kill it in the House, saying it had not been amended sufficiently to assuage his concerns about violating property rights. Lindholm defeated Rep. Dan Laursen (Powell) for the House majority floor leader seat according to caucusers. Laursen is the Wyoming chairman for the industry-friendly American Legislative Exchange Council, which wrote the model legislation for Wyoming’s ‘critical infrastructure’ bill. While questions about whether Harshman would retain the speaker spot swirled all year among Wyoming Legislature observers, the Senate’s leadership changes were more predictable. Current Senate President Eli Bebout (R-Riverton) had publicly touted current majority floor leader Perkins as his successor. The other likely candidate for president, Senate Vice President Michael Von Flatern, did not run for election, he told WyoFile. Perkins has been a prominent supporter of using corporate consultants Alvarez & Marsal to find efficiencies in state budgets, an endeavor that has been criticized by some lawmakers and observers who say the corporate cost saving strategies won’t apply well to state government. But the initiative has broad support, including from governor-elect Mark Gordon. Some of the consultant’s recommendations will likely require legislative action down the road. In the last two years, the Senate has taken a hard line on education funding, pushing for steep cuts while Bebout was vocal in his opposition to most tax increases. (Bebout has since endorsed the idea of a lodging tax.) Under Perkins the Senate is likely to call for more “belt tightening” on education funding, Von Flatern said, though some legislative observers see Perkins as more open to compromise than his predecessor. “I think they are on the same wavelength as far as education funding,” Von Flatern said. The Senate may clash with the House again though less dramatically than in 2018, he said, when disagreement kept lawmakers in session for extra days and Gov. 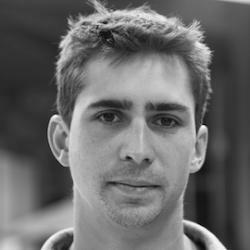 Matt Mead became involved in negotiations. Dockstader and Driskill, who will hold the second and third ranking spots in the Senate respectively, are both veteran lawmakers rounding out terms on the Senate Appropriations Committee. Driskill, a rancher, and Dockstader, a publisher, have been proponents of the Senate’s fiscal conservatism as defined by Bebout last legislative session. Driskill argued against the House’s rearranging of revenue streams to find funding for public education last session, which he said was opaque and could have unforeseen consequences for budgets in the long term. The new leadership also means Casper, already home to a large block of lawmakers, will get outsized representation at the top. Perkins and Harshman are both from Casper, where Perkins works as a tax attorney and Harshman coaches high school football. Perkins will preside over a Senate that is both younger and likely more conservative than in recent sessions. There are seven new members entering the Senate this year, nearly a quarter of the 30-member body. Four of those new members are considered likely to be more conservative than their predecessors. But two senators-elect, Wendy Davis Schuler and RJ Kost, are public-education advocates. 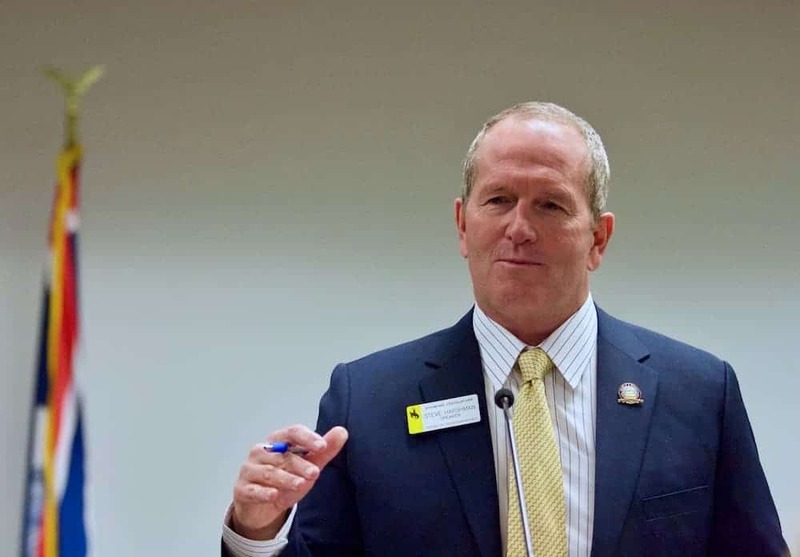 Kost is a former school administrator who ousted Sen. Ray Peterson (R-Cowley) in the Republican primary with help from the Wyoming Education Association. The organization also endorsed Schuler, a former teacher who defeated incumbent Sen. Paul Barnard (R-Evanston) in the primary. With reference to the Speaker of the House succeeding himself, much stronger language should have been employed, I believe this is the first time in the HISTORY OF THE STATE that such an event has occurred…. well constructed article, mr graham. it’s helpful to read the nuances and preferences to understand the ways in which wyoming is (really) governed at the state legislative level. Thank you, WyoFile and Mr. Graham for this great update. I hope everyone is thinking hard about why a virtually single-party state government does not help Wyoming move forward and ways we can improve democracy statewide. Excellent — often superior — candidates without an (R) by their name on the ballot are being overlooked and underfunded. Their loss is all of ours. If memory serves, one would have to go significantly farther back than 2001 to find a time when democrats chose to formally nominate a candidate for speaker. As usual, Andrew Graham provides a succinct, accurate and useful summary.